An increase in cases of children dealing with mental health crises at Children's Hospital necessitates changes in care. 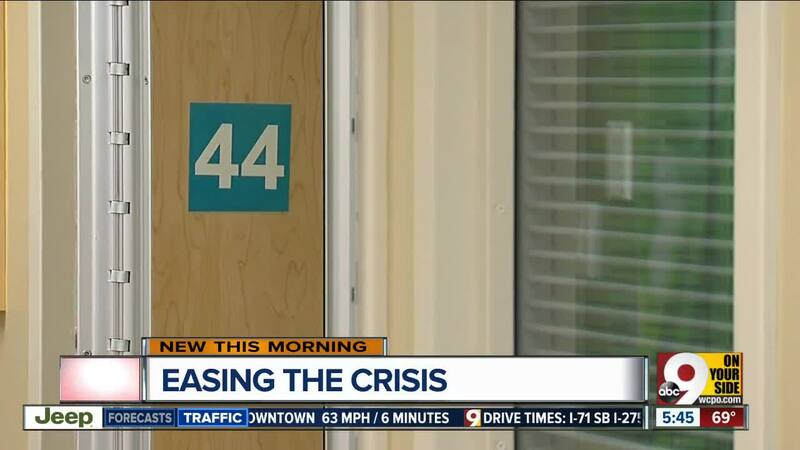 CINCINNATI -- Children's Hospital has begun to see more children arriving in its Emergency Room with crises of mental rather than physical health, and hospital officials are expanding their programs to meet the need. “We’re kind of at full capacity most of the time at this time of year,” Children’s Hospital director of psychiatry Dr. Michael Sorter said. In 2016, the hospital created a space specifically for kids in mental or behavioral crisis. It’s called the Kindervelt Psychiatric Emergency Assessment Center or KV PEACe . “We wanted a space that was really directed more toward their needs, rather than kids with medical needs,” Sorter said. The space is designed to ease the feeling of internal crisis with calming colors, comfortable furniture and encouraging messages. According to Sorter, the layout is intended to sidestep the chaos that may be present in a regular emergency room. Local volunteer group Kindervelt sponsors the hospital's year-round fundraisers to maintain and improve the unique space. “With having the KV-PEACe they can let them calm down to see exactly what kind of treatment they need and they didn’t have the time or space before, “ Kindervelt Citywide president Bonnie Hueneman said. Kindervelt has raised more than $1 million for psychiatric services at Children’s, and with their help, more services are on the way. Their largest fundraiser takes place in late October. Cincinnati Children’s said they see a spike in mental health patients during the school year. If a child in your life is dealing with serious mental turmoil or illness and may benefit from medical treatment, you can learn how to the Children's Psychiatric Intake and Response Center here .